We love a little serendipity here at The RE Store – and we recently had one of those moments at the Seattle store where just the right item was no longer needed in its home at the exact moment that it was needed in a new place. 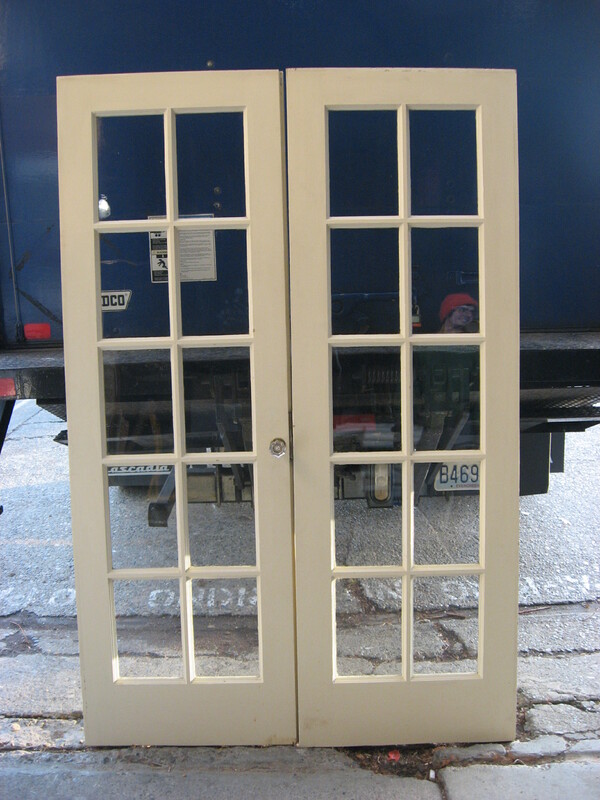 Our crew backed up the truck to the store from a day in the field, and unloaded a set of French doors from a 1909 West Seattle house. The door set was still leaning on the back edge of the truck as Bruce, the owner of Comstock Apartments – a 1909 building on Queen Anne – walked into the bay of the store in need of some doors, with the exact dimensions of this set that just came in. He wanted to keep with the original look of the apartment and building – and found it here, just off the truck! As many of you know, and our door sections can attest, most anything built in the Northwest before the mid-last-century was not of a standard size. So to find the exact size, from the same year/era building at that moment must have been fate. You never know what might be waiting for you – come to either store to see if that hard-to-find item is here!